This Suffolk ewe has somehow decorated herself with a poinsettia wreath! 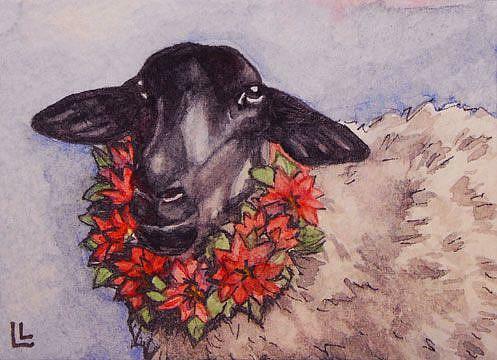 She must have the holidays in mind... but maybe every day is a holiday if ewe are a sheep! Baaaa!! !